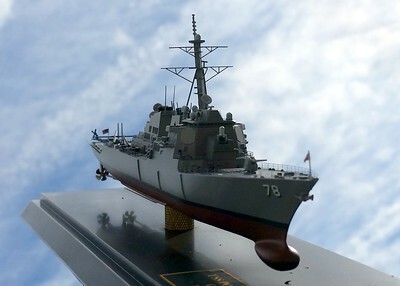 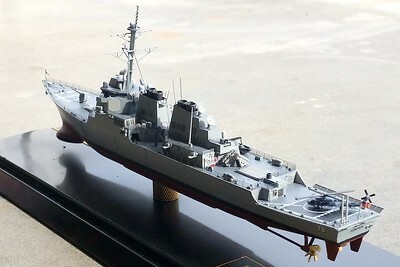 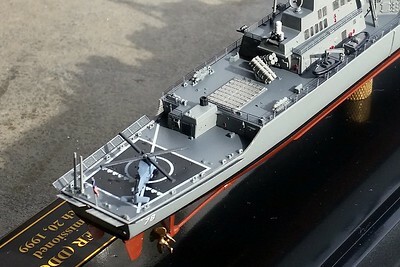 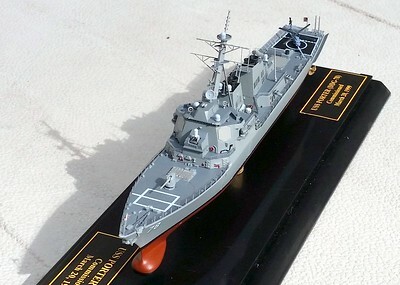 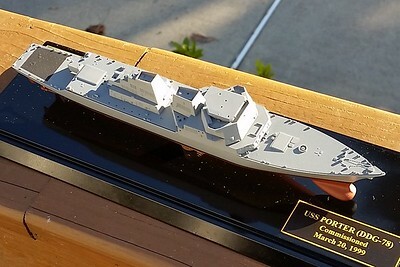 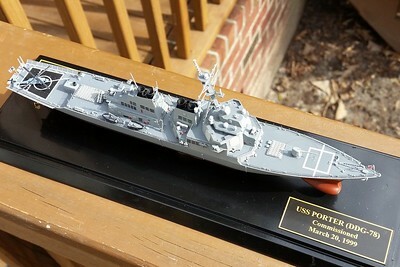 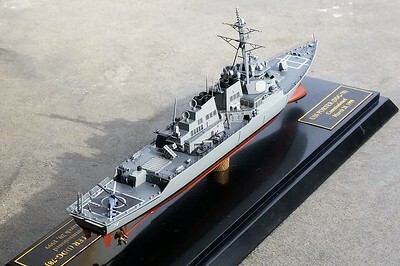 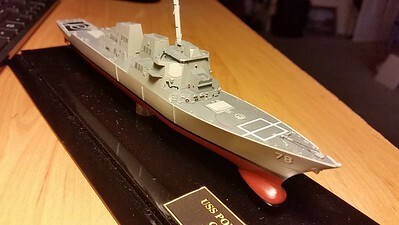 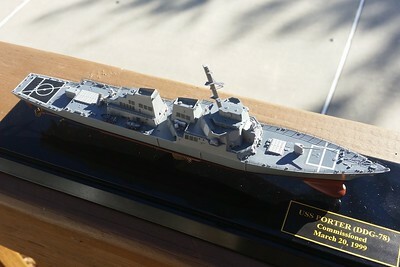 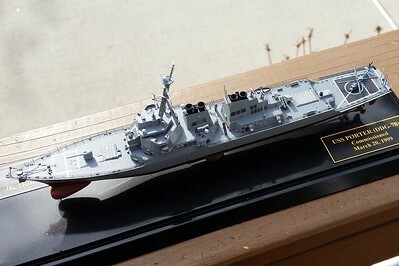 USS Porter (DDG-78) in 1/700 from HobbyBoss kit of DDG-67 (Cole). 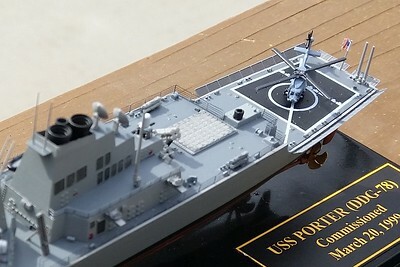 Cole is Flight I while Porter is Flight II, but the differences are mostly internal. 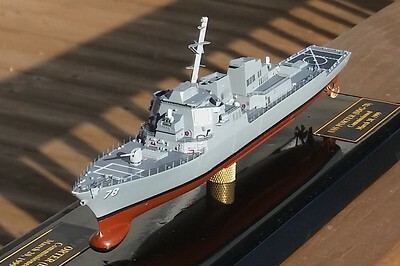 170121 DDG78 Advanced construction. 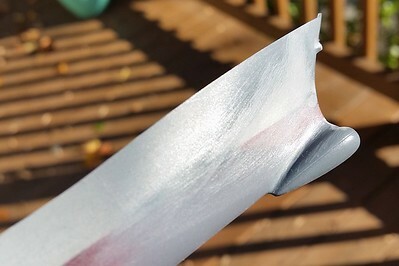 Aftermarket railings on 01 Level. 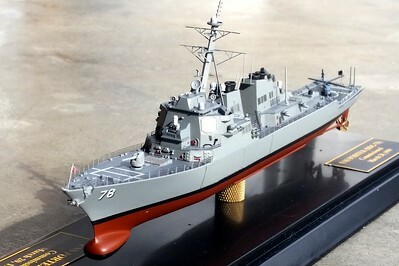 170121 DDG78 Advanced construction. 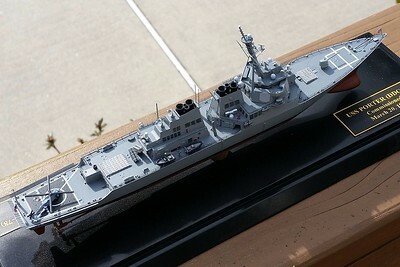 Fo'c'sle railings are by Voyager Model. 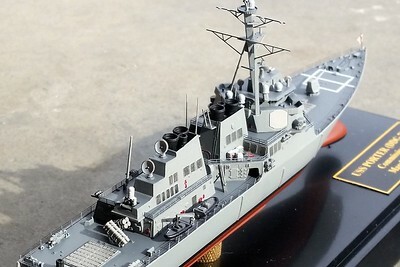 Kit decals except for hull numbers and name on stern. 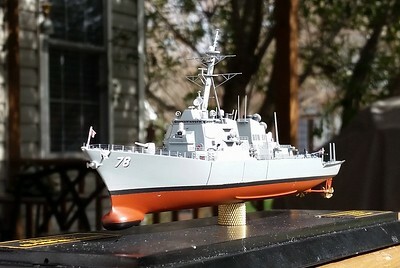 161207 DDG78 Initial outfitting. 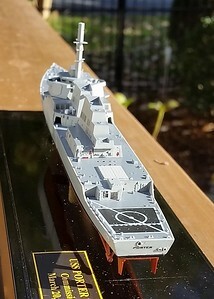 Kit decals except for hull numbers and name on stern. 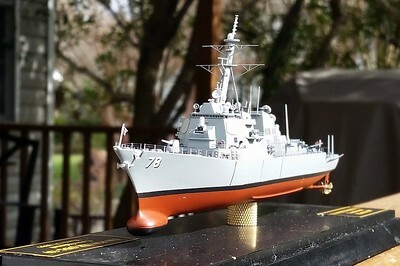 161207 DDG78 Initial outfitting. 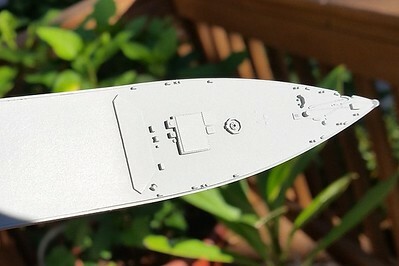 Deck house fit was good, but trying to eliminate the seam. 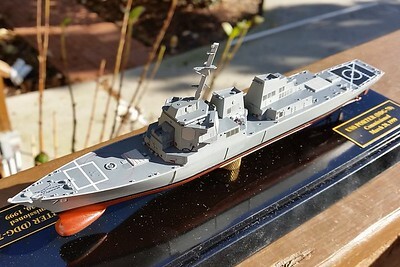 161206 DDG78 Phase II assembly. 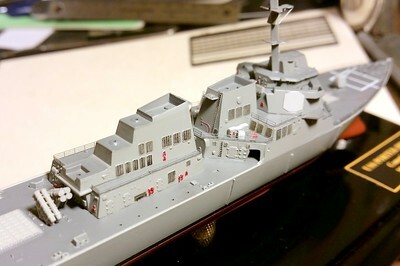 Kit decals except for hull numbers and name on stern. 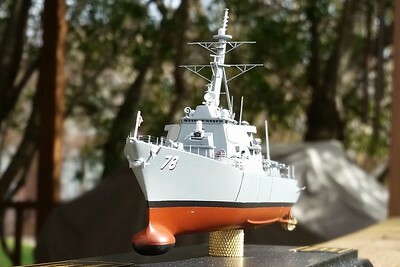 161116 DDG78 Base colours applied. 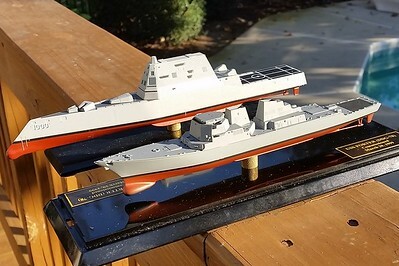 Visiting with her ugly stepsister. 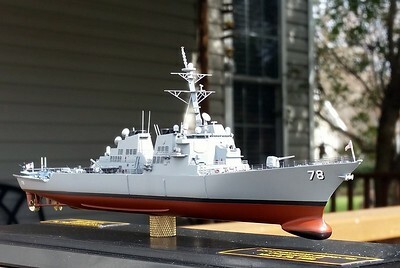 161111 DDG78 HUll red applied (Krylon rattlecan red primer); masked and ready to paint SDRW. 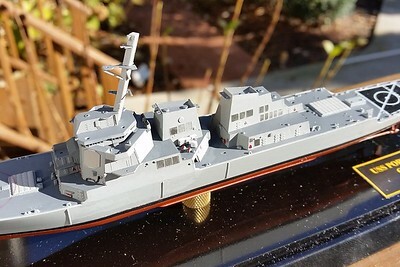 161106 DDG78 main deck fit test. 161104 DDG78 Fit between hull top, hull bottom, and sonar dome was good, with only minor filling needed. 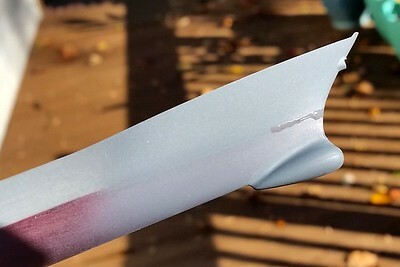 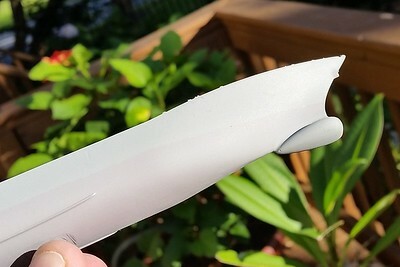 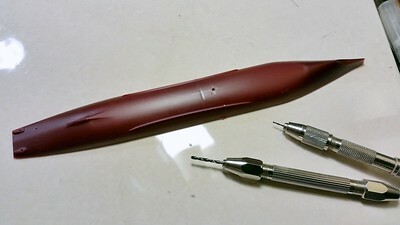 Filler is superglue. 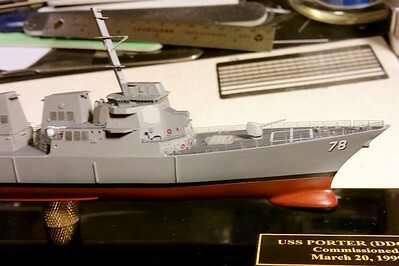 161031 hole for the pedestal. 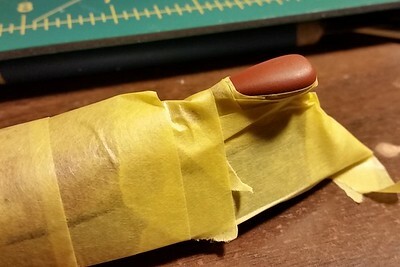 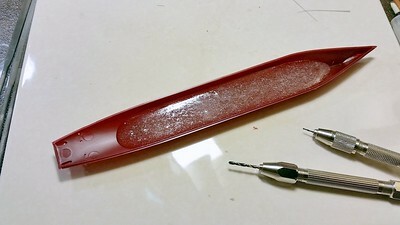 Ballast is 5-min epoxy.